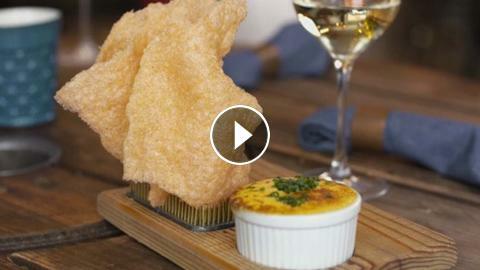 Olmsted turned fancy lobster thermidor into FRIED CHIPS + DIP! This hot-spot restaurant is on Rachael Ray's #BestOfBrooklyn list! Check out #30MinuteMeals, every day in April at 12|11c!